Andalusia City Hall is located at 505 East Three Notch Street, Andalusia, AL 36420; phone: 334-222-3312. Photo: Avant House, ca. 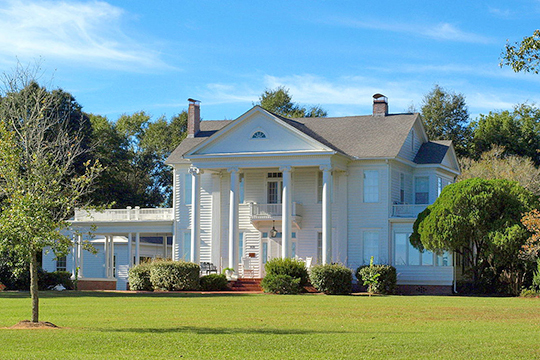 1914, 909 Sanford Road, Andalusia, AL. Listed on the National Register of Historic Places in 1996. Photographed by user:Chris Pruitt, 2014, (own work) [cc-by-4.0 (creativecommons.org/licenses/by-sa/4.0/)], via Wikimedia Commons, accessed October, 2015. First settled about 1841, a post office was established by 1846. Andalusia was incorporated as a town in 1884. The town's growth accelerated in 1899 when the Central Georgia and Louisville and Nashville Railroads arrived. Before 1795, the area was part of Spanish Florida which is likely how the town came to be named Andalusia.